I alway love it when I learn about drones being used in new and interesting ways. The Nerds for Nature did just that by using a drone to collect water samples at the Bioblitz held at Lake Merritt. The quadcopter they used has an exoskeleton instead of a traditional quadrotor frame. Aerotestra, the manufacturer attributes the weight, durability and payload capacity to this water-tight design. 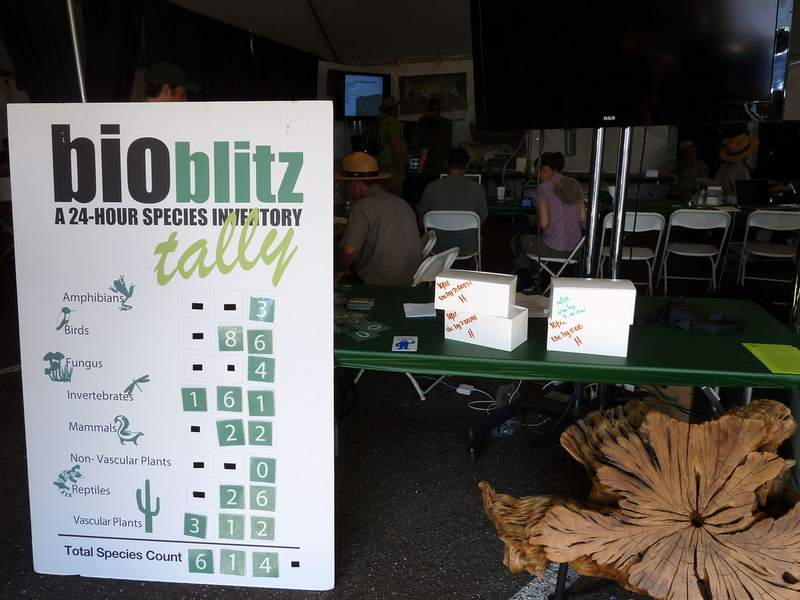 Over this past weekend we were able to join Nerds for Nature at the Bioblitz at Lake Merritt in Oakland CA. While there we ran the first of a series of experiments using HUGO to land at predefined way points in the lake to receive and log sensor data from an array attached to the outside of the aircraft. 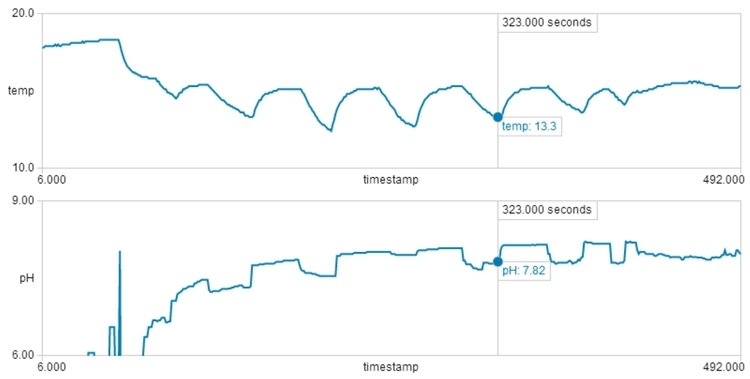 For the proof of concept flights this weekend we recorded temperature and pH readings that were stored on a sD card located inside the shell. Scientists and naturalists were on hand to help identify species and educate volunteers. 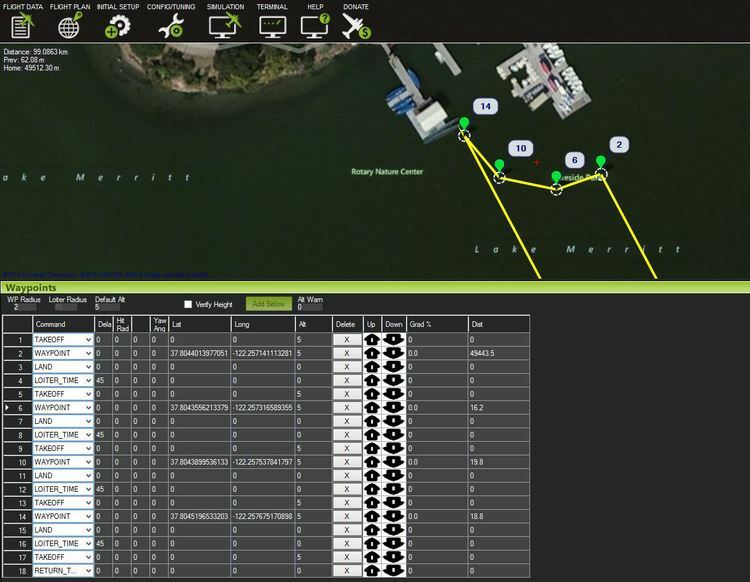 Autonomous drones buzzed overhead, landing gracefully to collect water quality measurements. Remotely operated submersibles surveyed the lake bottom, documenting the lagoon’s aquatic diversity. These high-tech tools joined a team of more than 150 local citizen scientists. 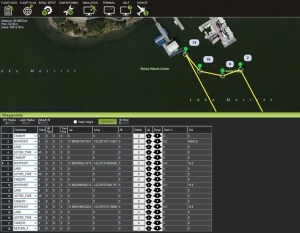 Bioblitzes have a long track record in citizen science, but what set Lake Merritt’s survey apart was the integration of autonomous drones and underwater robots into the sampling effort. Ken McGary of Nerds for Nature, another organization sponsoring the Bioblitz, brought together Bay Area technology developers and nature enthusiasts, including drone designer Sean Headrick and OpenROV (open-source remotely operated vehicle) developers David Lang and Eric Stackpole (co-founders of OpenROV), to develop novel ways to amass environmental data. The drone, an AeroTestra HUGO multirotor aircraft, eschews the conventional skeletal quadrotor frame for a tough exoskeleton that, according to Headrick, makes the drone both lighter and more durable, allowing it to carry a greater payload in harsher conditions. The drone is watertight and able to land on and take off from water. Outfitted with an array of water quality sensors, including those for temperature and pH, HUGO cruised across Lake Merritt, repeatedly alighting on the surface to collect data about the lake’s condition. 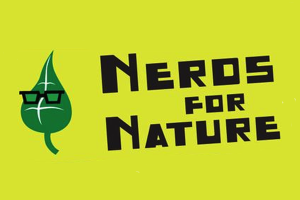 Nerds for Nature is bringing together people with a passion for technology and the environment together to understand, protect, and explore the natural world. Civic hacking has transformed the world of local government into a positively cool place to be. We aim to do the same for environmental organizations and agencies, starting in the Bay Area. Environmental folks bring data, problems to solve, ideas, and deep investment in issues critical to our collective future. Tech and design mavens bring the vision and skills to turn data into story and problems into solutions. We’re starting local — here at the center of environmentalism and technology — looking to both sides to ask critical questions: What environmental data is not being shared but should? 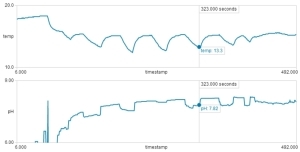 How can opening up information help solve pressing environmental challenges? How can new solutions help people connect to nature in their own lives? 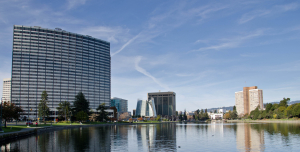 Lake Merritt is a large tidal lagoon in the center of Oakland, California, just east of Downtown. It is surrounded by parkland and city neighborhoods. It is historically significant as the United States’ first official wildlife refuge, designated in 1870, and has been listed on the National Register of Historic Places since 1966. The lake features grassy shores; several artificial islands intended as bird refuges; an interpretive center called the Rotary Nature Center; a boating center where sailboats, canoes and rowboats can be rented and classes are held; and a fairy tale themed amusement park called Children’s Fairyland. A popular walking and jogging path runs along its perimeter. The circumference of the lake is 3.4 miles (5.5 km) and its area is 155 acres (63 ha). Are you are resident of the greater Oakland area? Are you interested in a career in UAVs? Drone college is your next step. Drone Universities offers drone operator courses in a number Northern California cities. Let Drone Universities teach you the skills you need for a high-paying drone career.